At Gartner Data & Analytics Summit 2019, we’ll help you create the future a future based on data you can trust, analytics you can rely on, and the insight needed to make game-changing business decisions. 25TH ACM SIGKDD CONFERENCE ON KNOWLEDGE DISCOVERY AND DATA MINING. Save the Date. The annual KDD conference is the premier interdisciplinary conference bringing together researchers and practitioners from data science, data mining, knowledge discovery, large-scale data analytics, and big data. 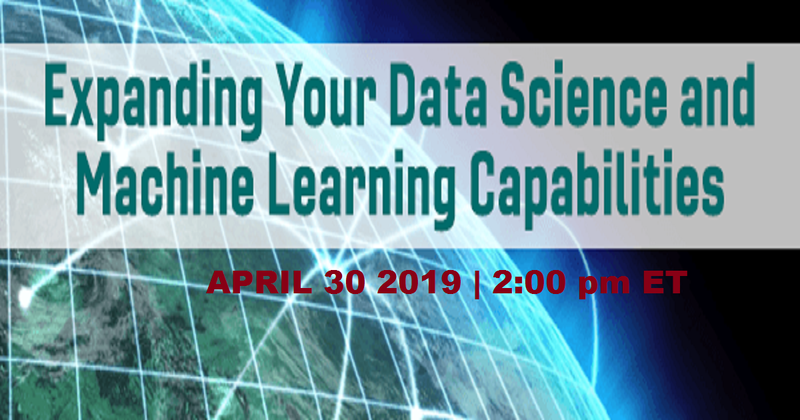 This webinar will focus on the promise AI holds for organizations in every industry and every size, and how to overcome some of the challenge today of how to prepare for AI in the organization and how to plan AI applications. "Doug Hull, MathWorks (Originally posted on Doug's MATLAB Video Tutorials blog.) It was pretty easy to read in the data with XLSREAD. Note that three minutes into the video above, I use a neat cell mode trick that many might not know about."